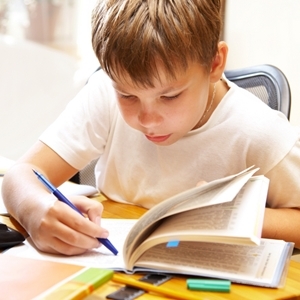 Does it seem like your child has problems concentrating on his homework? Or do you find that he is having a dreamy expression on his face during study time? Now here comes the problem of how to improve child's concentration. Children are learning to analyze and think as they explore the world that surrounds them. The things that may look ordinary to an adult’s eye are new things that are wonderful for children. For this reason, children tend to be distracted by things that are happening around them. This is no cause for alarm as there are a number of things that you can do to help your child have a better level of concentration. Children have a relatively higher intake of highly processed foods, sugary foods and saturated fats.Research shows that a diet that is rich in whole grains, vegetables and fruits aid in good brain function of your child. Foods that have food coloring in them may increase hyperactivity in children. Parents are, therefore, advised to avoid these foods. Having a routine is a great thing as your child understands that there is a time for everything (time for chores, sleep, homework, etc.). Having a ritual of things for your child to do will help him get into a pattern, and these patterns will help your child to know what is supposed to happen next. This will help your child to focus on matters and hand and keep their mind from wandering. Experts have it that children who are over two years of age should only be allowed to watch TV for two hours a day, while children who are under the age of two should not watch TV at all. It is advised that you apply the same rules for children who are older, as too much TV can prevent children from doing physical and intellectual activities like doing homework, reading, playing outside and interacting with family and friends. Both physical and mental exercise is of great importance to help improve the concentration of your child. You can try playing board games that stimulate and encourage your child to focus and think strategically. This is for mental exercise. It is proven that it is likely for children who do 30 minutes of physical exercise per day to focus better, do well in school and generally be more positive. This is one major step in answering "how to improve child's concentration". With these games, your child's concentration can be improved in no time. Mind body integration. This concentration exercise is designed to keep your child in a static position for a certain period of time. Have your child sit on a chair in the middle of the house and tell him that he cannot move from the chair during the exercise. This exercise helps strengthen neural connections between the brain and the body. Visual tracking exercise. This exercise is aimed at developing the attention skills of your child. Have the child sit down and focus on the object that you are holding as you move it in a horizontal direction. The coin game. Parents like this game as it improves sequencing and memory as well as concentration and attention. Prepare a pile of assorted coins, a stopwatch and a cardboard. Choose five coins (like three pennies and two nickels) and put them in a sequence. Let your kid watch and remember the sequence. Cover the coins using the cardboard and ask your kid to pick coins from the pile to make the same sequence. Use the stopwatch to time how long it takes him to finish. Encourage him to do quicker every time over. Crossword puzzles and picture puzzles. Crossword puzzles improve sequencing ability and attention for words. Picture puzzles improve concentration and attention. Giving your child a favorable place that is quiet helps to improve their concentration as kids have not yet developed the same ability as adults to screen out distractions. Soft music playing in the work area can help mask distracting sounds coming from another room. Praising your child is very important. Avoid criticizing your child unnecessarily especially for losing concentration. When you notice that your child’s concentration is drifting, try to bring him back to his senses without criticizing them. Mental health issues like anxiety, anger and depression can make it hard for a child to focus, and young kids need assistance learning how to cope with such feelings. Parents should help their children put their feelings into words by talking with them about how they feel. You can start a conversation and later on help the child feel better by dealing with what is disturbing him. Parents should be careful not to assume that their child has attention deficit hyperactivity disorder (ADHD), a syndrome that is most of the time diagnosed in early childhood. It is characterized by over activity, impulsivity, inattentiveness or a combination of all the three. This syndrome may not always be the root cause of your child failing to be attentive.